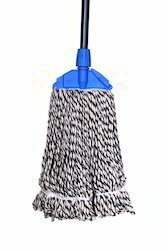 We are manufacture of Kent mop and wet mop and all type of mops. We have expanded our networks all across the country by serving to the endless demands of customers and making them immensely satisfied. 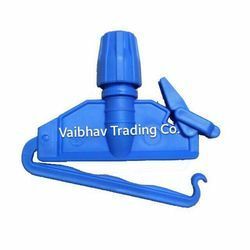 Our company strives to accomplish the demands of clients thereby indulged itself in manufacturing a highly qualitative array of Cotton Mop Refill. The range we offer is manufactured utilizing optimum quality raw material, which we procure from the most trustworthy vendors of industry. Several rigorous quality policies are also adopted by us, by following which, we ensure to make shipment of only defect free goods in the market. With an ambition to stand in elevation on all the principles of our consumers, we are tortuous in offering an extensive assortment of Kentucky Mop Clip. Suitable to clean the floors these products are made by using quality material. Our offered mop clip is precisely manufactured using the best components and advanced technology in line with set quality standards. Color Red, Blue, Yellow, Green. Utilizing on our unlimited industry experience and inside and out space mastery we are putting forth a wide extent of mops, for example,Kentucky Cotton Mop produced using premium evaluations of crude materials. These are intended to offer remarkable drying activity by bending the mop. This item is offered in mass amounts to our customers. Besides, we dispatch this in given time span to our customers. With our rich industry experience, we are engaged in offering Kentucky Cotton Mop Set to our client. The offered set is designed and manufactured by a skilled team of professionals using high grade raw material that is sourced from reliable vendors of the market. It is used for cleaning purposes. This Kentucky Cotton Mop Set is highly demanded in the global market and available at pocket friendly rates. 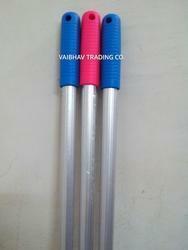 We are leading manufacture of Kentucky Mop Handles. type of Aluminium, Iron Powder Coating, Iron Crom Coating size as for requirment. Floor Cleaning Pad 17" & 20"